Someone recently brought specimens of what they thought were bed bugs. Actually they are larvae of carpet beetle. Here is a brief note about them. Carpet beetles belong to the Coleopteran family of Dermestidae, which are commonly known as dermestid or skin beetles. These are scavengers and feed on a variety of plant and animal material. Larger members of this family belong to the genus Dermestes. Smaller and common household pests belong to the genera Attagenus and Anthrenus. Dermestids feed on furniture, carpet, fur, leather, stored food, museum specimens, and other materials. The three species of carpet beetles common in California are varied carpet beetle (Anthrenus verbasci), furniture carpet beetle (A. flavipes), and black carpet beetle (Attagenus megatoma). 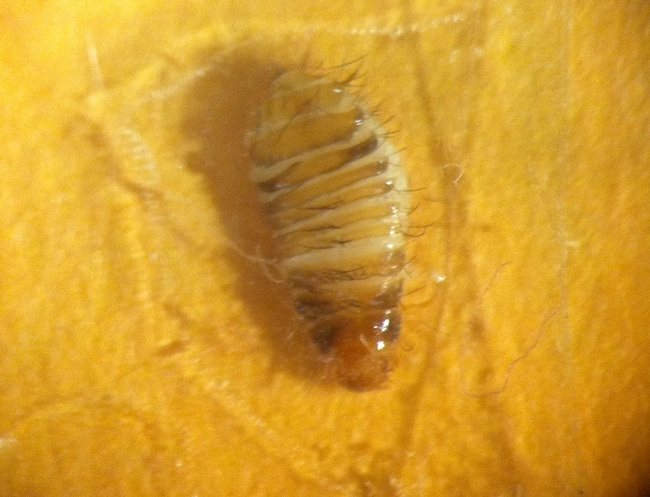 The specimens I received appear to be varied carpet beetle larvae. 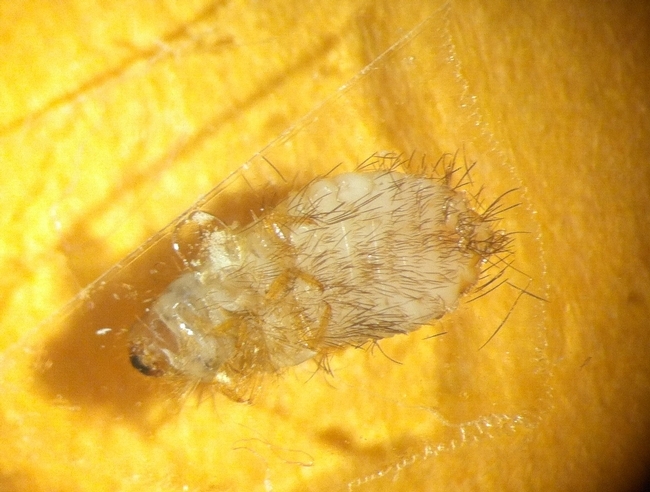 More information on carpet beetles, their identification and control can be found at http://www.ipm.ucdavis.edu/PMG/PESTNOTES/pn7436.html.